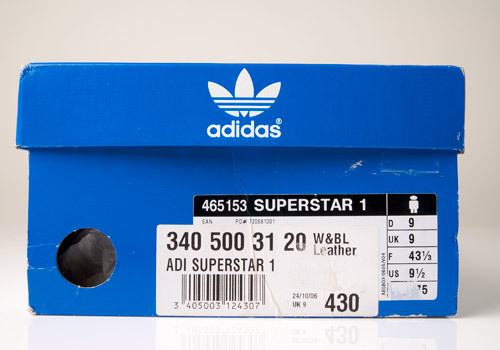 The Superstar is quite arguably one of the most iconic and infamous silhouettes that adidas has ever released. A classic model which resonates in shoe-lovers of any generation (especially the 1980s) and always looks great remade in countless simple colorways. 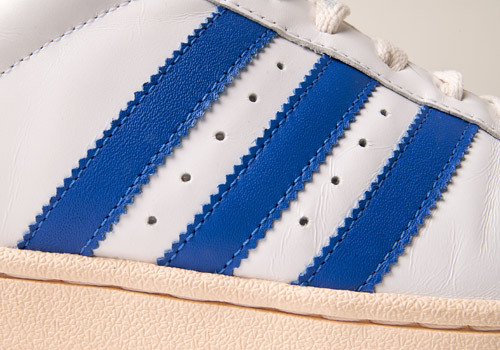 Once again adidas drops the Superstar 1 with no flare, no flash, and no funny business. 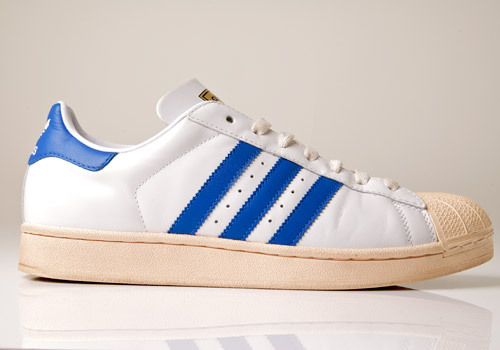 The kicks are made entirely of smooth white leather, except for the side stripes and heel patch which are done in the traditional adidas ‘royal’ blue. The tongue is decorated with a black and gold emblem displaying the adidas branding – company title and trefoil – as well as the model name itself. 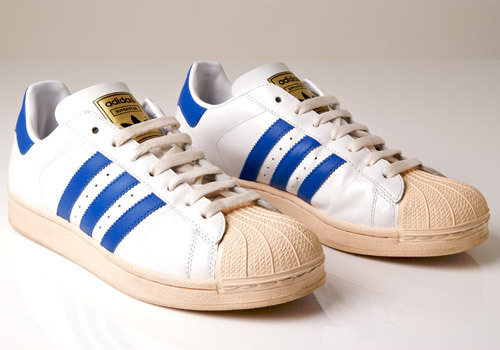 A real 80’s theme is evident throughout this shoe, even down to the tongue being slightly thinner, as the original Superstars were. 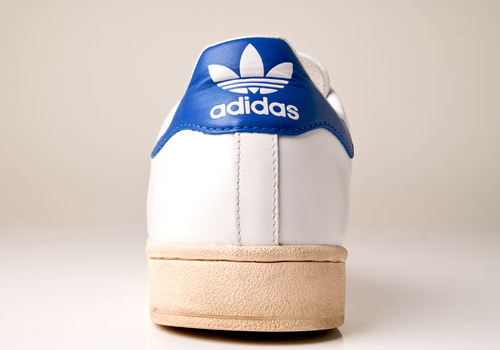 The rubber shell toe and outsole are cream colored and stitched to the upper. 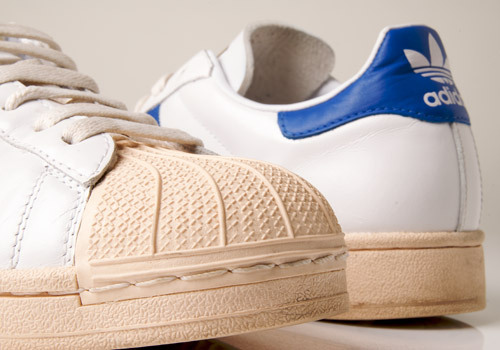 The cream coloring adds another retro element to the shoe, giving them a little more depth and meaning. The shoes come with a pair of matching cream laces.